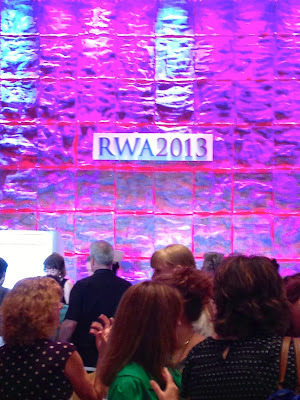 I attended my first Romance Writers Conference this past week. It was jam-packed with workshops, chats, classes, and book signings. 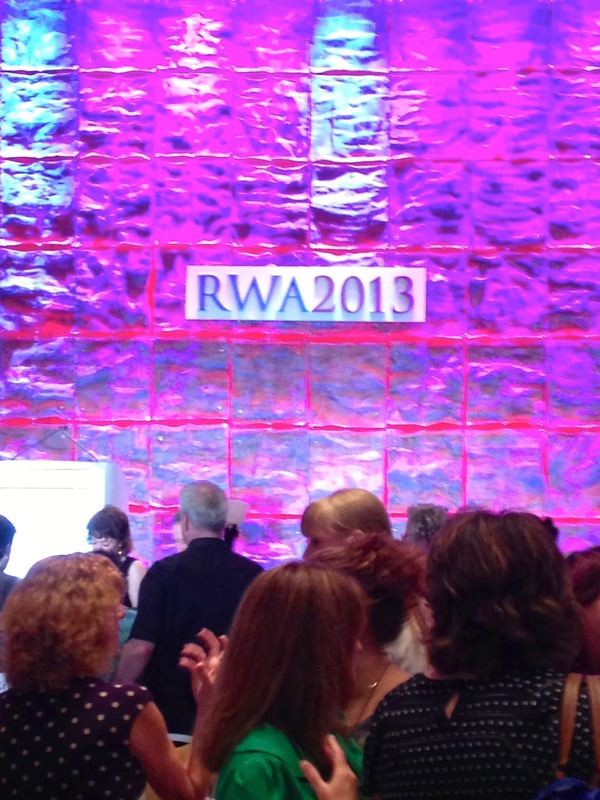 One estimate put the total number of authors at about two thousand! That's a lot of creative minds under one roof. There was a smile on every face I met and everyone was beyond helpful. I learned so much from the organized classes I attended, but the amount of experience shared by the ladies around the lunch or supper table was informative as well. This is the back drop for the luncheons. Keynote speakers Cathy Maxwell and Kristan Higgins were fantastic! Each fueled the writing fire in the attendees and created a little mist to an eye or two. I can't wait to use some of the tips I learned when I begin my next writing project. I was at the conference too! It was my first conference. Wasn't Kristan Higgins' speech amazing? I don't remember the last time I cried and laughed so hard! What workshops did you go to/like? I wish we had been able to meet up at some point. What's your next conference stop? I wish we had met up at some point, Stacy! What's your next conference stop? As soon as I can clear it at work, I'll continue with my plans to attend Georgia Romance Writers Moonlight and Magnolia's conference also in Atlanta.